Here is a visual perceptual freebie Find and Color for back to school from the School Doodle Find packet. Challenge your student’s visual scanning and visual motor skills with this activity. 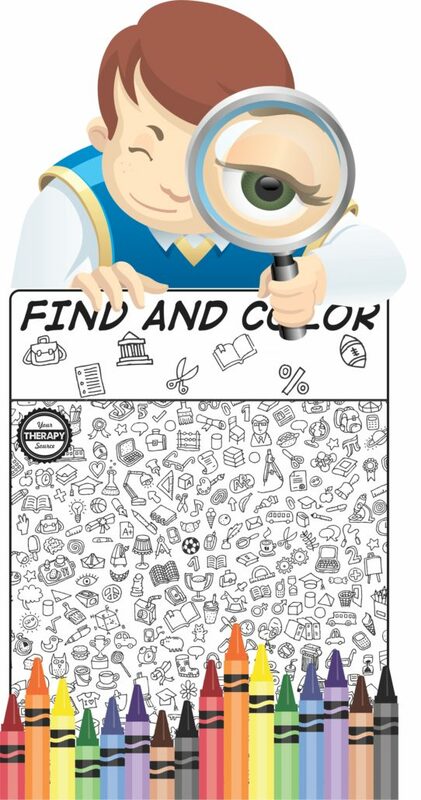 Can you find and color the 7 different school items? 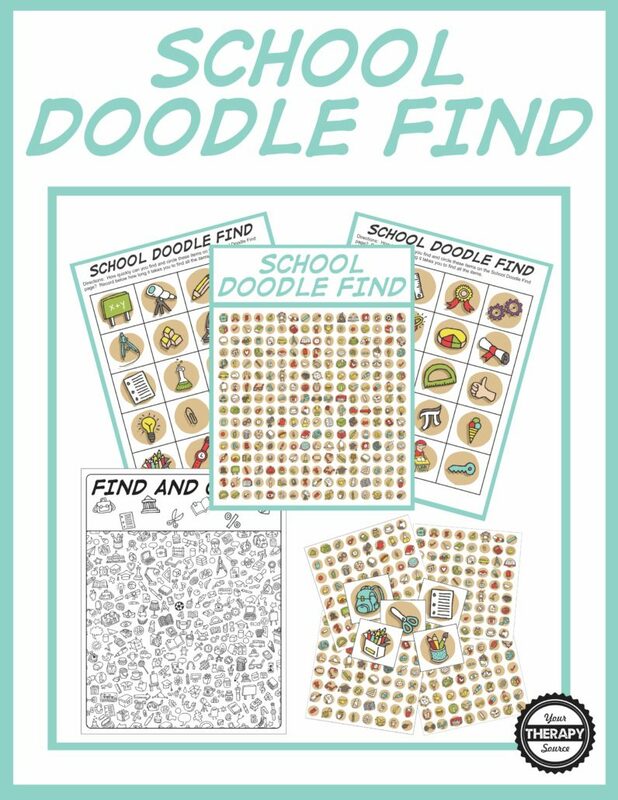 DOWNLOAD the School Doodle Find freebie. This freebie is from School Doodle Find, a visual perceptual game that includes 4 different game boards, 6 recording pages and 5 Find and Color pages. This game requires no preparation – just print and play! In addition, there are directions included to create a travel version of the game. This activity challenges visual tracking, visual scanning, visual discrimination and visual motor skills. Print off multiple copies for your students and your activities are ready to go! Find out more about School Doodle Find.